Christof Ebert is managing director at Vector Consulting Services. He supports clients around the world to improve product strategy and product development and to manage organizational changes. 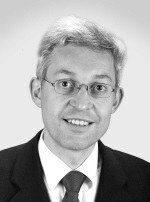 He serves on advisory boards and industry bodies and is a professor at the University of Stuttgart and Sorbonne in Paris.